Fall and winter are just around the corner. In the Midwest, that means unpredictable cold weather and snow ahead. While the weather is still nice, it’s time for homeowners to start securing their homes for protection against wind, snow, ice and other harsh elements. The most common causes of damage to homes during the colder months are hail, rain and wind. The roof is the best place to start when winter-proofing a home. All types of severe weather will stress shingles over time. Whether it is wind tugging at them or debris chipping at them, shingles must be kept in good condition or replaced as needed. Before the first freeze or snowstorm arrives, it is important to check the roof carefully to determine the condition of the shingles. Make any needed repairs as quickly as possible. Check the roof for damage, clean the gutters and make sure downspouts are clear. Trim all trees and especially dead branches around the home. Make sure the flashing is in good shape to avoid water damage. Use impact-resistant roofing materials whenever possible. Fix any damaged or bubbled areas on a flat or sloped roof. Put extra insulation in the attic to prevent ice buildup and subsequent water damage. When the roof is finished, check the basement next. Make an appointment to have the furnace inspected and cleaned each year, and be sure this is done by a qualified technician. Put insulation on all exposed water pipes. It is also helpful to keep the thermostat turned up during colder periods to prevent pipes from freezing and bursting. If there are any flammable materials in the basement, make sure they are stored away from wiring or heating units. Leaky windows will let not only air but also snow and rain in the home. 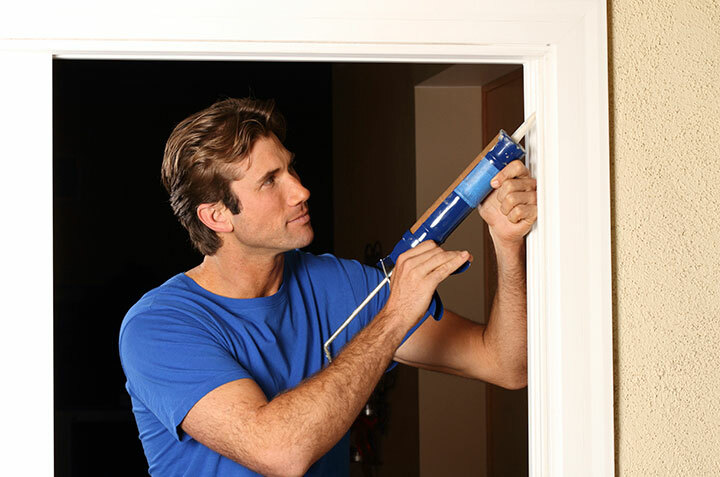 This can lead to big problems after a short period of time, so it is important to make sure the caulking around the windows and door frames is in good repair. Be sure to also check the caulking around sinks, bathtubs and toilets. After completing these tasks, it is prudent to walk around the house and look for other items that need repair. Look carefully at all appliances to see if they need to be serviced. Check the wiring to make sure it is in good repair. If there is a fireplace or wood-burning stove, have the chimney checked and cleaned every year when the colder months arrive. Clean under the dryer and its exhaust pipe to prevent fires. Look at all of the electrical outlets to ensure they do not have frayed wires or are loose. Check all carbon monoxide and smoke detectors, and replace the batteries if needed. Be sure to check them every month after that as well, and always keep a working fire extinguisher handy in the kitchen. Making sure the house is sealed up tight and is safe will help reduce the likelihood of having to file an insurance claim this winter. To learn more, discuss concerns with an agent.